Many individuals consider where to store the down payment as they save to purchase a new home. When you try to save up 10 or 20% of a home's value, you can end up with a significant amount of cash on hand. One ideal vehicle for storing that money is a money market. The interest rates offered can vary wildly, however. We compiled a list of the best money market rates around to make your search easier. 1. 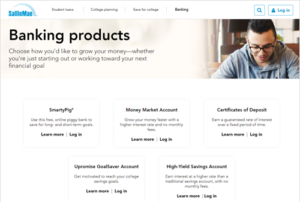 What Is a Money Market Account? A money market is a type of investment account that is often considered a cross between a checking or savings account and an investment fund. They can be taxable investments or qualified retirement accounts. Both banks and investment firms offer money markets alongside their savings or mutual fund offerings. The key difference is that money markets are significantly safer than mutual funds and other investments but offer larger returns than most savings accounts. They don't have as much potential for growth as many other investments, but it is this lack of growth potential that makes them a more secure account for storing your money. There are two types of money markets: deposit accounts and mutual funds. Deposit accounts are usually opened with banks and credit unions. Money market mutual funds are usually opened with investment firms and financial advisors and may be offered at your local bank or credit union if they offer other mutual funds. Both types are liquid, meaning you can sell the funds and access your money without waiting or risking early withdrawal penalties or fees. Because money markets are considered a type of security, you will often be restricted to only 6 withdrawals a month, so it is not a good option to replace your checking account. 2. 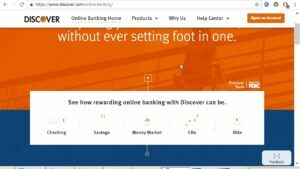 Why Use a Money Market Account to Save Money? Money markets are an ideal option for storing money that you will need for any major funding needs you have coming up soon. Some people refer to money markets as a sort of garage you can use to park your cash. You store it in a safe place, sheltered from the more extreme elements outside until you need to take it out and use it to reach a new destination or goal. Money markets are a great replacement for a savings account if you are just a few months away from purchasing a home. Some buyers will prepare by growing their down payment with stock market and mutual fund investments in the years leading up to a new home purchase. As they get closer to the purchase date, they'll transfer those funds to a money market to protect it from any sudden downturns in the market. It's important to note that unlike checking and savings accounts, money market mutual fund and some deposit accounts are not FDIC insured since they are considered investments. It is possible for money markets to lose money in extremely volatile markets, but they are less likely to do so, and less likely to lose significant amounts like other stock market investments do. 3. How Do Money Market Rates Work? Money markets have relatively low interest rates though they can be somewhat higher than the rates you would find in savings accounts. Since they are not FDIC insured, the institution managing the money market is not restricted as much in how and where it invests and grows the funds. Money market deposit accounts are frequently invested in municipal bonds, treasury notes and even certificates of deposit. Money market mutual funds tend to be invested in treasury securities, high-quality debt securities, and municipal bonds. Some of the best rates listed below may appear to be fairly constant, but each will vary as the value of the vehicles they are invested in grow or shrink. 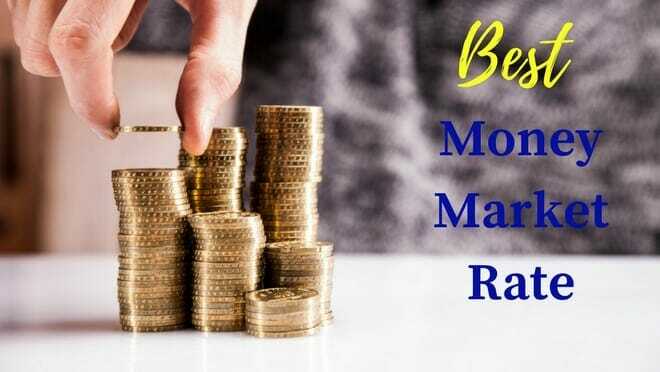 The best money market rates tend to remain fairly stable, especially compared with stock market investments, but the rates here are not guaranteed and will change over time. 4. Where Can You Open a Money Market? You can open a money market account with your local bank or credit union. You can also choose to open a money market mutual fund with the same investment firm that manages your other investment accounts. Opening a money market with the same firm that you are currently using to grow your money will make for a more seamless transition when you need to transfer those funds. If you will be transferring between mutual funds and a third party location where you will open your money market, you may have to complete additional transfer forms or have the check sent directly to you in order to transfer the funds to your new money market. A few people consider this too much of a hassle for an account that will be storing their money for just a few months before they will need to use it. However, if you want the added security with the best money market rates, these small extra steps can be well worth the effort. 5. How Do You Choose the Right Account with the Best Money Market Rates? One of the most important considerations when searching for the best money market rates for your situation is evaluating the minimum deposits and the interest rates for those deposits. 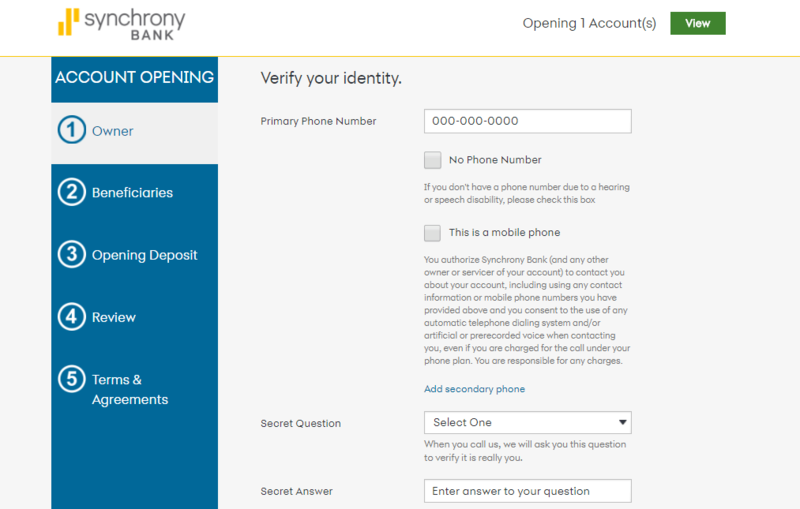 Some money markets require a certain amount to open the account. Others have no minimum, but will severely reduce the interest rate if your deposit or balance drops below a certain level. You will also want to be aware of what fees are collected and whether they will cause too much damage to your funds. 6. What Is an Annual Percentage Yield (APY)? You may be familiar with the term annual percentage rate (APR), but you may not be as familiar with annual percentage yields (APY) and how they function. An interest rate is the rate at which your money will grow over a set period of time. It is usually calculated as a percentage of the funds you have available. If the interest grows every month, then the amount each following month will include the interest grown previously. This process is referred to as compounding. The APY takes this compounding effect into account to show consumers how much they will earn over a year if they do not take any withdrawals. If you have a 2% APR, but it is compounded daily, your money will grow much faster than the same 2% APR which is only compounded quarterly. The best money market rates are compounded daily or monthly though some money markets will be compounded quarterly or annually. The following money markets were reviewed on the following factors: Features, Pros, Cons, and Rates. We also took fees and required deposit sizes into account to give you the answers you need to make the best choice for your situation. We focused on bank-offered money market deposit accounts and high-yield savings to ensure that your funds are FDIC insured. Money market rates vary from 0.05% APY to 2.25% APY. We focused our list on rates that offered rates of 1.60% yields and higher. 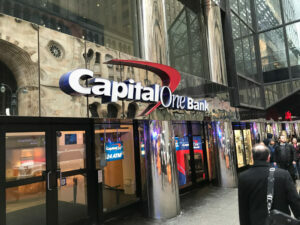 If you have over $10,000 to deposit in a money market, Capital One 360 is a great option that can tie in seamlessly with your other Capital One 360 accounts. They don't require a minimum to open the account; however, the APY drops from 1.85% to 0.85% when the balance drops below $10,000. They also have no hidden fees, which can help maintain your money while you're saving for your goals. 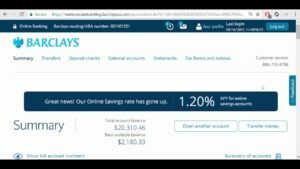 1.85% APY for amounts over $10,000. 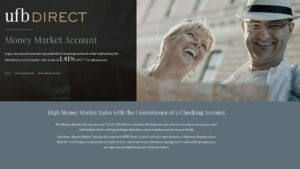 0.85% APY for amounts under $10,000. These amounts are calculated daily and are current as of November 2018. While CIT is not at the top of our list of the best money market rates, it's 1.85% APY is nothing to scoff at. It also charges no monthly or opening fees and charges a low $10 fee for wire transfers if your account is below $25,000. The drawback is that they do not yet have online bill pay available, and you will not have a check book or debit card to easily access funds. 1.85% APY as of November 2018. Barclays requires no minimum balance for it's savings account and no monthly maintenance fees. 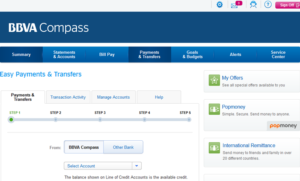 It still manages to offer 2.05% APY. Just be aware of when you'll need to withdraw your funds. Deposited funds are held for 5 business days before you can make a withdrawal on them. 2.05% APY as of November 2018. Citizens Access not only impresses customers by being completely fee-free, they also have one of the best money market rates in the industry. The only drawback to the 2.25% APY is that your balance must be above $5,000. 2.25% APY as of November 2018. Sallie Mae has a fantastic yield for those not needing quick access to their deposits. With a 2.12% APY and no minimum deposits or monthly maintenance fees, this is a great choice. 2.12% APY as of November 2018. Synchrony has one of the best money market rates around. At 2.05% APY with no required minimum deposit or balance, this is one of the best options for a wide array of situations. There are also no monthly fees and ATM fees are reimbursed up to $5 each month. The only drawback is that there are no check-writing capabilities available. 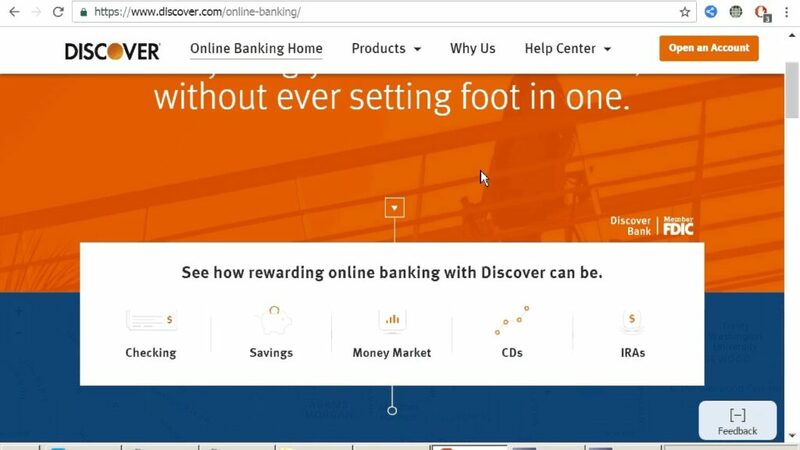 Discover Bank offers a solid yield for it's money market accounts. They will waive the first qualifying fee you encounter each year, and you will not have to pay any monthly maintenance fees if you maintain a balance over $2,500. 1.70% APY for balances under $100,000 and 1.80% APY for balances over $100,000 as of November 2018. 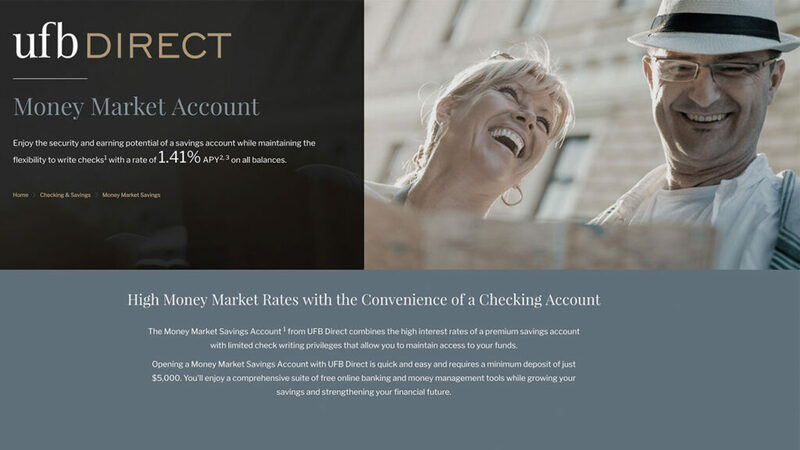 If you're looking for easy mobile, online, and debit card access along with check-writing capabilities, UFB's Money Market account is a good choice. The APY is not the highest available, but the ease with which you can access your account often makes up for that. However, this is not a good option for those looking to receive paper statements each month. You will pay $60 through the year to have paper statements mailed to your home. 1.60% APY as of November 2018. BBVA offers decent interest rates for brand new money market customers. However, current BBVA customers with other types of accounts are not able to take advantage of these rates, instead receiving a dismal 0.05% APY for most money market balances. 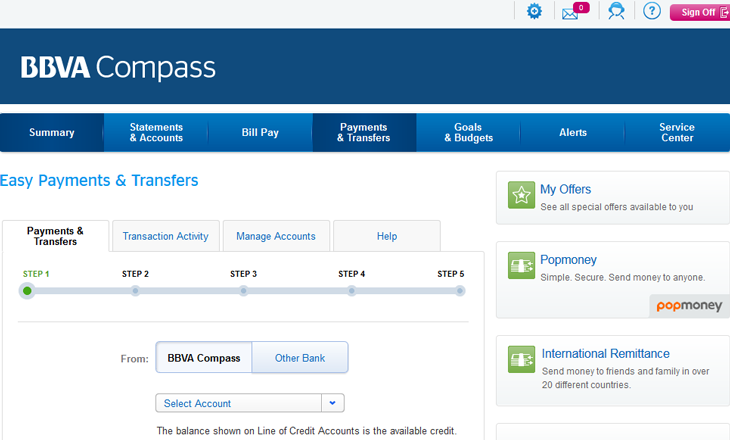 BBVA also charges excessive fees, including no limits on daily overdraft fees. 1.80% APY as of November 2018. 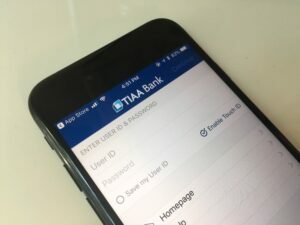 TIAA offers a money market account through EverBank. EverBank promises to offer yields that are in the top 5% of its competitors. However, these rates drop dramatically after the first introductory year, when the fixed promotional rate returns to a normal variable rate. If you are using the account as a temporary staging vehicle and plan to withdraw the money within a year, this could be a great option. 2.15% APY for the first year. Following year returns may be as low as 1.10% APY. Rates current as of November 2018. The best money market rates are above 2.00% APY as of November 2018. If interest rates continue to rise, these rates will likely go up as well. Currently, Citizen's Access is perhaps the best choice for most people looking to stash $5,000 or more away for a brief while, or if they are looking to make sure their funds are not significantly damaged by any future economic downturns. Not only is the 2.25% APY the best around, they also refrain from charging excessive, hidden fees, as some other institutions are prone to do. This means you can save your money with the peace of mind that you will not be nickeled and dimed in the process.